Always in fashion, timeless and elegant, stripes will be a favourite for a long time. Graphic, with a classic touch, it is the trendy print this season. 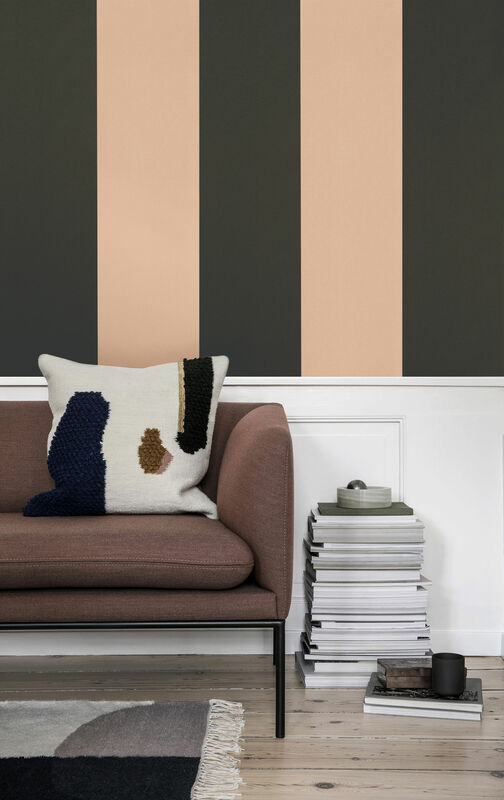 The thick stripes with contrasting colours add depth to your wall and jazz up your interior. The wallpaper is printed on a high-quality non-woven fabric offering an exceptional finish. Each roll (L 10 m x W 0.53) covers 5.3 sqm. The wallpaper is light-resistant, washable and easy to put up: paste is applied directly to the wall.